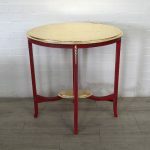 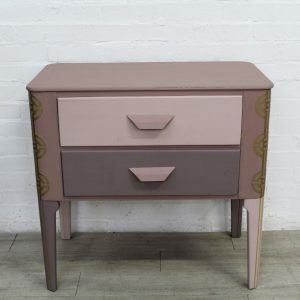 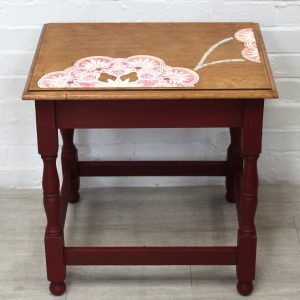 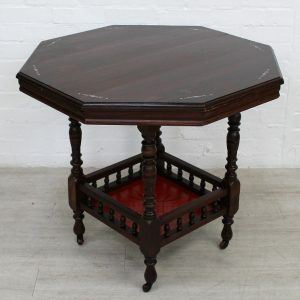 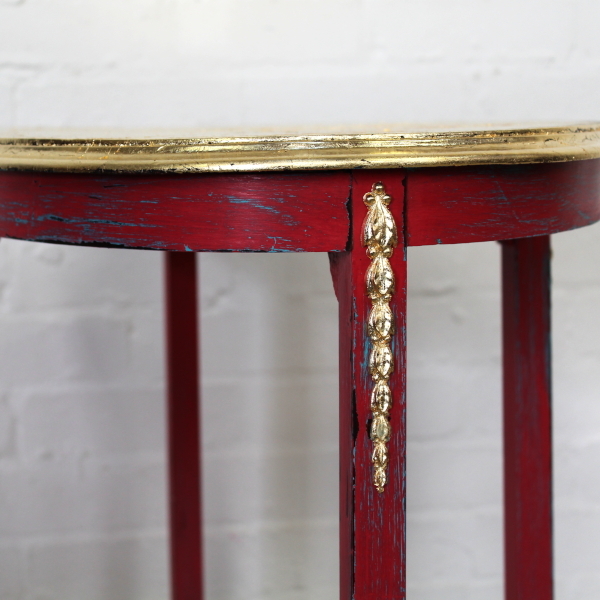 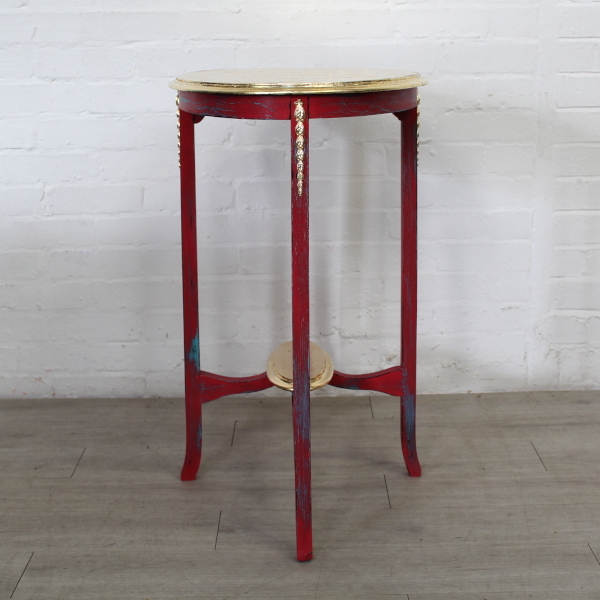 This lovely vintage side table has been hand painted in custom mix Fusion Mineral Paints and distressed. 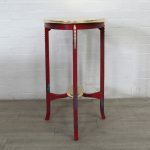 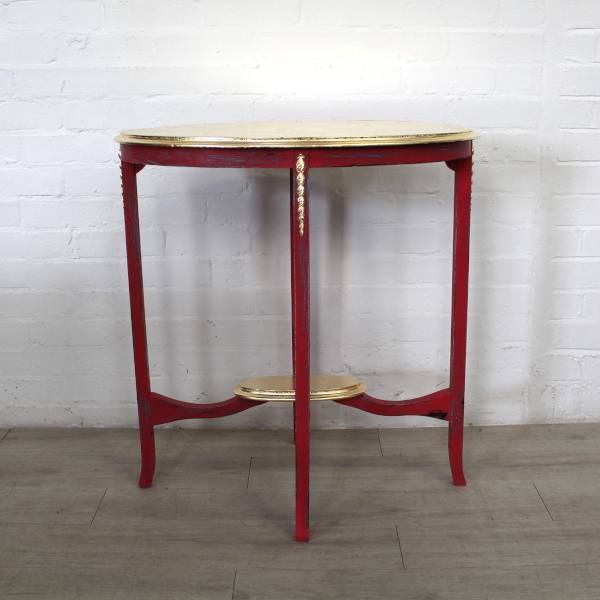 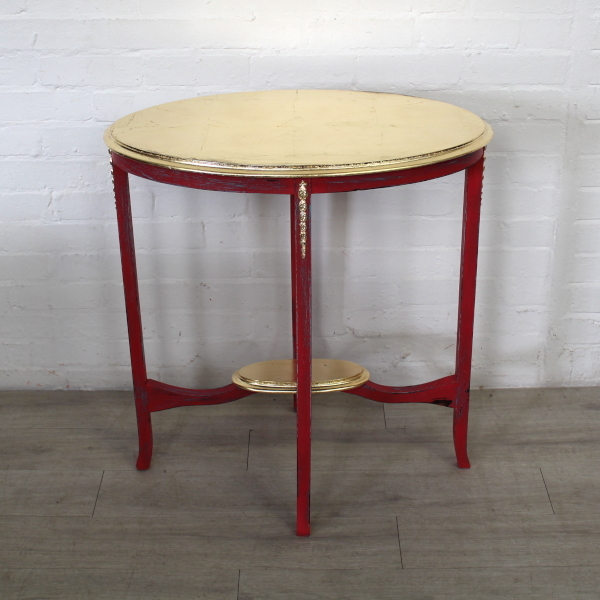 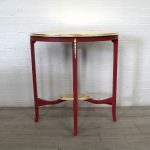 The table top, bottom support and decorative mouldings to the legs have been finished in gold leaf. 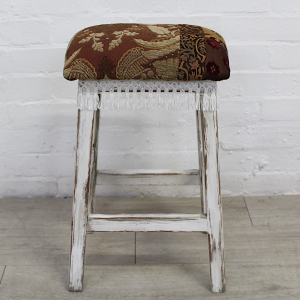 The mix of the two styles gives a real faded elegance suitable for any style interior.